When Quark holds a poker tournament on Deep Space Nine someone from almost every sentient race - Klingons, Cardassians, Romulans, Vulcans, Ferengi - shows up for what is sure to be the highest-stakes game of all time. But when one player is killed, the stakes get higher than even these big-money players had counted on. 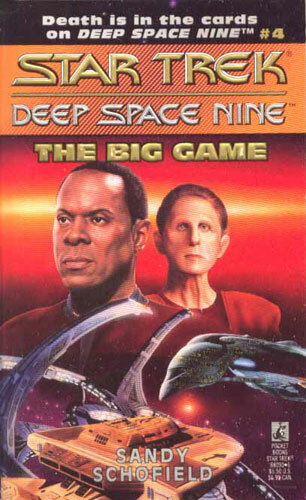 With the station rocked by subspace waves that threaten its destruction, Commander Sisko and Security Chief Odo must hunt down the killer in time to save the players, a killer who has information that can save those on board Deep Space Nine from the invisible enemy they do not even know they face, a killer who holds all the cards.